GeoTech Surveys Limited was incorporated in 1980 as a private Canadian company based in Nova Scotia. We provide professional engineering and geological consulting services to Government agencies and to the petroleum and mining industries where expertise is required for projects involving geological information, research, or engineering. Route Designs for Natural Gas Pipelines: We can provide geological information for large engineering projects requiring an understanding of sub-surface structures, such as for natural gas pipelines and municipal sewage systems. For example, we were recently the route designer for the Halifax Lateral natural gas pipeline. We also participated in the route design for the pipeline from Goldboro to Cape Breton Island, and for parts of the Sable Island pipeline to the New England states. These efforts included a risk assessment for such geological hazards as fault lines, sink holes and old mine excavations. Drill-Stem Pressure and Temperature Profiles: We have completed numerous temperature and pressure profiles for wells in the Jeanne d'Arc Basin (Hibernia Field), and the Scotian Shelf (Venture Field), offshore eastern Canada. The temperatures were determined using hydrocarbon maturation data based on our analyses of mascerals selected from well cuttings. The pressures were calculated from drill-stem tests in conjuction with other down-hole geophysical data. Environmental Impact Statements: We can provide the geological information required to satisfy the regulatory requirements for land-based structures, including natural gas pipelines. We participated in the EIS for the proposed submarine natural gas pipeline that was to be layed from Sable Island (Venture Field) to the Nova Scotia mainland in the early 1980s. Site Investigations for Engineering Projects: We can investigate sites where there are geological hazards, or where there may be a geological component of a particular environmental problem. We can also evaluate the appropriateness of a site selection for industrial purposes or the economic potential of mining properties, including the smaller prospects. Geological, Geochemical and Geophysical Surveys: We have designed, carried out, and interpreted numerous reconnaissance and detailed mapping programs and data gathering surveys in support of a wide range of industrial projects. Airphoto interpretations and sampling programs are specialties. Drilling Programs: We can design, monitor, and interpret the results of diamond drilling programs, whether undertaken for geological exploration or environmental investigations. Geological Research: We can design, carry out, and interpret the results of a wide variety of geological research programs, particularly those which seek out information to an environmental problem. Recently we developed a technique for using drill-stem pressure tests to establish deep, subsurface stress profiles on the Scotian Shelf (Venture Field). This research resulted in a paper published in CJES, v. 24, 1987. We have been involved in numerous other research projects including an analysis of deep-seismic records on the Georges Bank and Scotian Shelf. Geological Instruction: We can provide a wide range of geological instruction to students of adult or younger ages from elementary to university levels. Technical Report Writing: We can write (or re-write) technical reports with proper grammar, and correct spelling; design attractive layouts for tables, drawings, illustrations; and type and print (B&W and/or colour) the reports on quality bond. We can also write home pages in HTML script for a web site. Data Storage and Retrieval: We can design databases for digital data storage, the forms for easy data transfer, and data display reports for showing desired relationships. We can show graphical and statistical correlations and trends that could be used for analysis, or for evaluations aimed at solving a particular technical problem. We believe that GeoTech Surveys Limited has the breadth and depth of experience to provide the expertise to deal with your needs wherever geological information is required. We have worked both as a team player and independently. If you feel your company can benefit from our services, give us a call to discuss it. We believe we can come to an agreement where we both benefit, because we believe our rates are reasonable and competitive. GeoTech Surveys Limited has been the investigator for numerous projects in the mining, petroleum and industrial sectors. We have undertaken projects across Canada (Nova Scotia, New Brunswick, Quebec, Ontario, Saskatchewan, and British Columbia) and the United States (California, Nevada, Arizona, Idaho, and Oregon). Warren B. Ervine, Ph.D., P.Eng. is the President of GeoTech Surveys Limited and its principal investigator. He is a Geological Engineer with over 47 years experience in the resource industries and has served numerous corporate, academic and governmental organizations in Canada and the United States. He received his education at the University of Toronto (B.A.Sc., 1959, M.A.Sc., 1962) and at Stanford University, California (Ph.D., 1973) and is certified as a Professional Engineer in Ontario (PEO, 1960) and Nova Scotia (APENS, 1981). 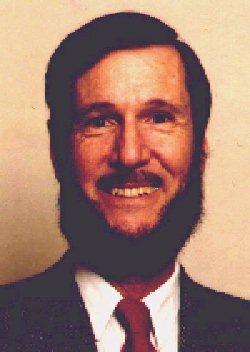 For 8 years prior to forming GeoTech, Dr. Ervine was a Professor of Geology at universities in the United States and Canada.